Double Eleven and Introversion Software have announced that Prison Architect: Nintendo Switch Edition is now available on the Nintendo eShop, the BAFTA award-winning prison construction and management game. That will challenge you to look after your inmates by building a secure lockup, taking care of their needs, keeping them safe and healthy, and helping rehabilitate them to become productive members of society. Treat them poorly, and you could have a riot on your hands. 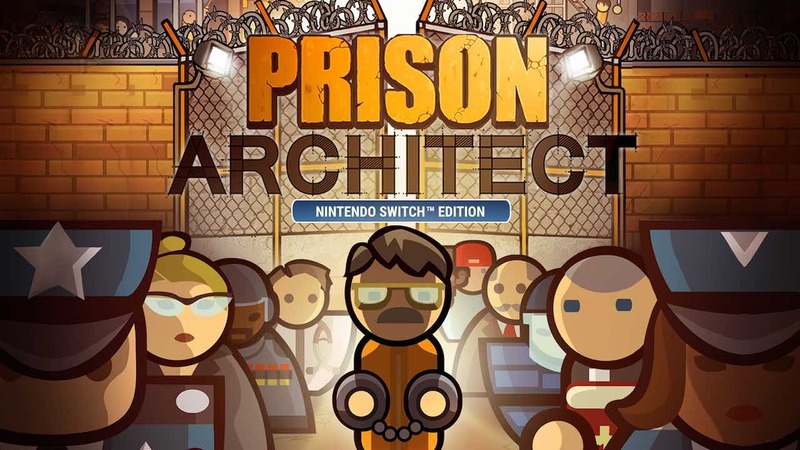 Prison Architect: Nintendo Switch Edition comes with the All Day And A Night and Psych Ward expansions that provide access to new wardens and maps, as well as the new ‘criminally insane’ security class. The Escape Mode downloadable content, which will place the player in the shoes of an inmate looking to break out, will release on the Nintendo eShop later this summer. Prison Architect: Nintendo Switch Edition is now available on the Nintendo eShop for Nintendo Switch worldwide, priced at $29.99.